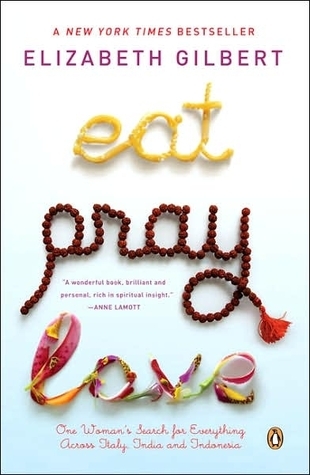 A collection of 108 short pieces combine to form Eat Pray Love, the nonfiction bestseller by Elizabeth Gilbert. Faced with unhappiness and an overwhelming depression, Elizabeth begins a journey to become closer to God and pull herself out of the darkness that has consumed her life. Each short essay is a puzzle piece that creates a world where Elizabeth can be devout in her faith and in herself. She bares all in this novel, throwing down the gauntlet and astoundingly admitting her every fault. Gilbert connects with readers through her admission of guilt, shortcomings, and life experiences. Each life experience may not resonate with every reader, but every reader will definitely recognize at least one common denominator between themselves and Gilbert. The journey that she faces is one of erratic ups and downs. As she travels through India, Indonesia, and Italy, Gilbert documents her feelings of love and loss. Both which let her find God, moving away from the past and into the present. Though some of the essays are tedious to read and hard to connect with, the writing style of Gilbert brings life to the death of her depression. She gives readers an account on how she discovered a path out of her personal hell. I found Eat Pray Love to be a lovely book of expanding hope and would recommend it happily.